Jennifer has been a lover of cannabis for years and baking even longer. So when Initiative 71 was passed in DC, she decided why not take the opportunity to merge her two loves. 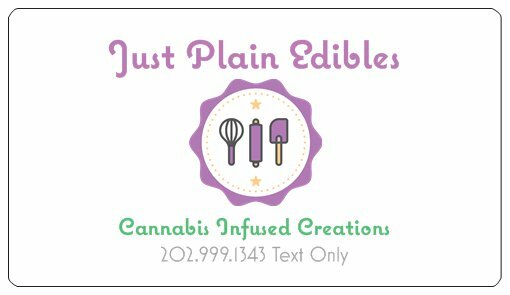 In July of 2016, Just Plain Edibles was born. 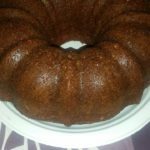 The first item had to be the Brown sugar pound cake that her friends and family rave about. In November, Just Plain Edibles won the Dankaroni and Cheese edibles competition, that was held by The Dank Boys. 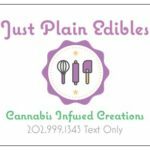 Just Plain Edibles has a variety of offerings: Brown sugar pound cake slices (and whole cakes), coconut cookies, ginger molasses cookies, chocolate chip cookies, brown sugar cinnamon cookies, rice krispy treats, salad dressings, Mac n’cheese, and Tincture.